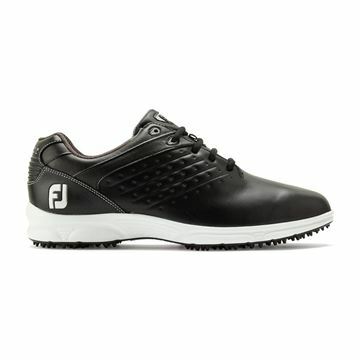 Footjoy ARC SL are a waterproof pair of spikeless golf shoes. Lightweight and comfortable as well as being waterproof. 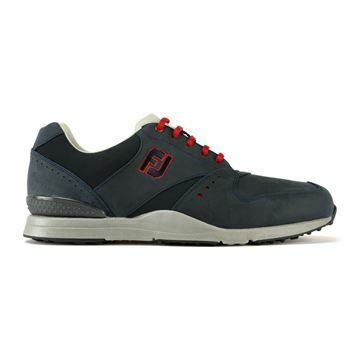 They are made from soft leather uppers a have a really responsive cushion midsole. 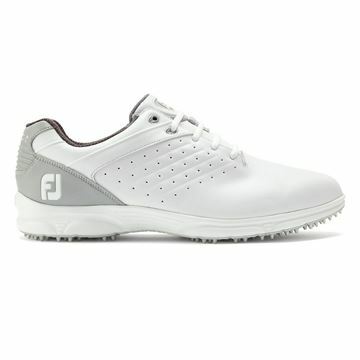 New style of Footjoy shoe. The ARC SL are athletic in design, but are also extremely comfortable and waterproof. All black leather uppers. 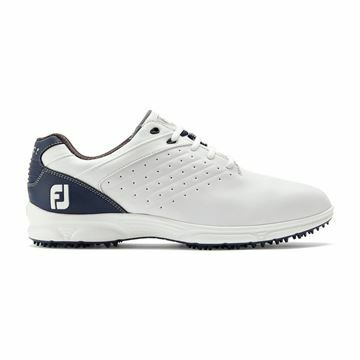 New style of Footjoy shoe. The ARC SL are athletic in design, but are also extremely comfortable and waterproof. All white leather uppers. Navy blue with red logo and laces. The Footjoy Contour Casual spikelesss golf shoes are extremely comfortable as well as being waterproof. Can be used as a golf shoes but can also be worn outside as a normal shoe to and from the golf course. 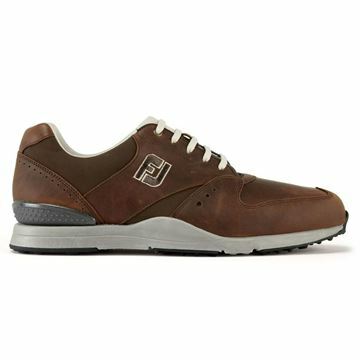 All brown spikeless golf shoes from Footjoy. The latest style of Contour Casual and they look vastly improved on previous years with a more sporty and stylish look. Contour Casual spikeless golf shoes. New design from Footjoy, leading manufacturer of golf shoes. Great price for a waterproof, leather golf shoe.